Gentlemen. Scholars. Jolly Good Fellows. 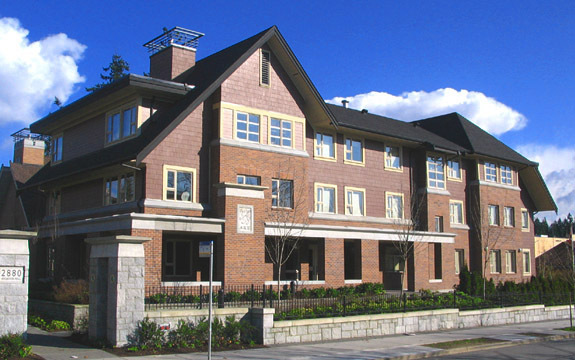 Welcome to Delta Kappa Epsilon at UBC! Our chapter prides itself on diversity and fostering cohesion among unique men interested on communal betterment. We are academics, philanthropists, leaders on campus and innovators in our fields. "Delta Kappa Epsilon is a long-honoured society of outstanding men dedicated to developing its members into future leaders. "DKEs are men of courteous and honourable deportment, intellectual excellence, and good fellowship. Our 69 year history at UBC is evident across multitudes of philanthropic and academic success, and the legacy our members leave in the community at UBC and in the world. "At our core, we are a Brotherhood of over 70 Active Members, with over 85,000 living members from upwards of 70 chapters worldwide. As one of the oldest North American fraternities, our alumni network stretches wide, boasting a roster of Presidents, businessmen, celebrities, and professional athletes. At Delta Kappa Epsilon, we champion our brothers to become their best selves, and I think you'll find that Phi Alpha is filled with men of immeasurable talent. I welcome you into our home to interact with our brothers and experience all that a fraternity like DKE can offer." On June 22nd, 1844, 15 Yale University students established DELTA KAPPA EPSILON, and with it, our open motto, "Friends from the Heart, Forever." Brothers and their dates at our annual ∆KE Formal at Manning Park Resort. Delta Kappa Epsilon is a fraternity focused on charity, brotherhood and academics. Brother Garrett Chance at our signature philanthropy event, the Scott Trapp Memorial Stick-It to Cancer Ball Hockey Tournament. Our Chapter's signature charity event raised over $46,770 for the Canadian Cancer society in 2018. Our chapter house is the largest and most luxurious on campus, featuring apartment style living.